It took two full days of travel, but St. Mark made it to Houston! Let me give you the numbers. Ten of our high school students joined five other Rockford churches to travel down here in six large vans driven by 13 adult leaders. Our drive time was around 17 hours, and on Monday night we slept on the floor of Second Presbyterian Church in Little Rock, Arkansas. That’s quite the journey, wouldn’t you say? Our amazing crew of adults leaders all deserve a year’s supply of coffee as far as I’m concerned. 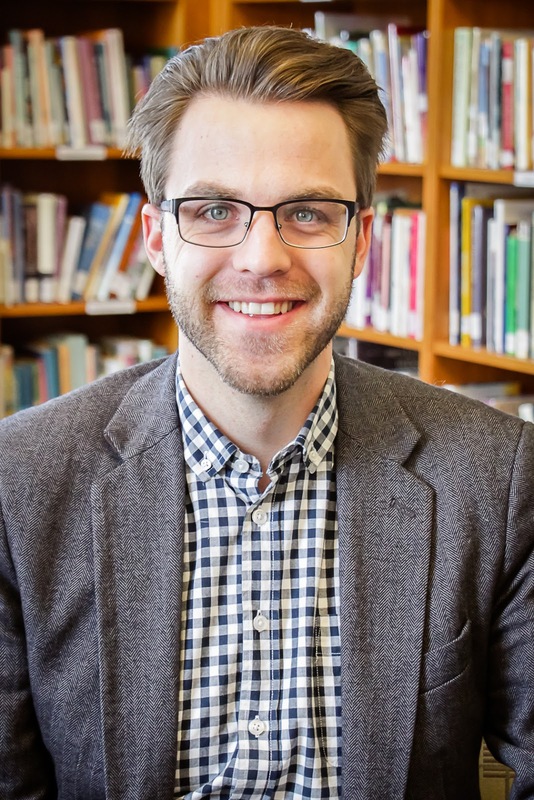 We are here for the triennial ELCA Youth Gathering, where high schoolers from all over the country converge for five days of worship, service, and learning. Yesterday was our first full day at the gathering. Some of the folks here spent the day at the Interactive Learning area, immersing themselves in a variety of activities as they learned about the church’s vital role in our world. Another third of the participants gathered with their synods to worship and learn. The rest of us donned bright orange shirts, hopped on the bus, and traveled to all parts of this city to serve the community alongside its citizens. At the end of the day, all 31,000 of us packed into the NRG Stadium for a night of music, stories, dance, and worship. There is a lot to take in. It can be overwhelming. The humid heat in Houston is stifling. Nobody particularly likes the crowded lines that push us in and out of every activity. But as some of our high schoolers told me, this experience is absolutely worth it. We have heard stories from a songwriter who has thrived in spite of her disability, a Navy chaplain who serves soldiers returning home, a lawyer working to bring hopeful justice to the poor and imprisoned, and so many others who have been sustained by God’s sustaining love. At the heart of it all, our students are learning about how God changes everything. God calls us in unexpected places. God pours love into broken people. God restores each and every one of us. God changes everything. I would suspect that by the time our little group from St. Mark will return to Rockford on Monday, many of us will have changed a bit. That is what happens when people encounter God and witness what God is up to in our world. Please continue to pray for us and all of the Lutherans in Houston this week, that we might be uplifted and inspired, and that we may return home safely restored. Rumor has it that I was away on vacation last week...on a motorcycle, no less! Yup, it’s true. 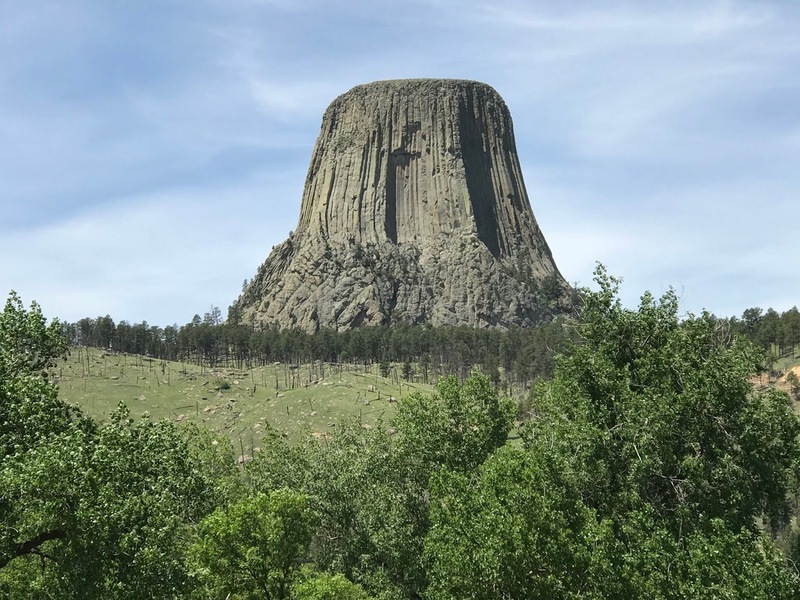 Fred Ellenberger and I teamed up for a 7-day, 2,500-mile round trip to the Black Hills in South Dakota and Devil’s Tower in Wyoming. It was another glorious adventure...complete with warm temps, lots of bugs on our windshields, and frequent stops for fuel and ice cream (Fred’s insistence). Best of all, no rain! We stayed with friends who live 30 minutes west of Rapid City, up in the beautiful, pine-scented regions. I’ve decided to share a few photos to give you a better sense of our travels. 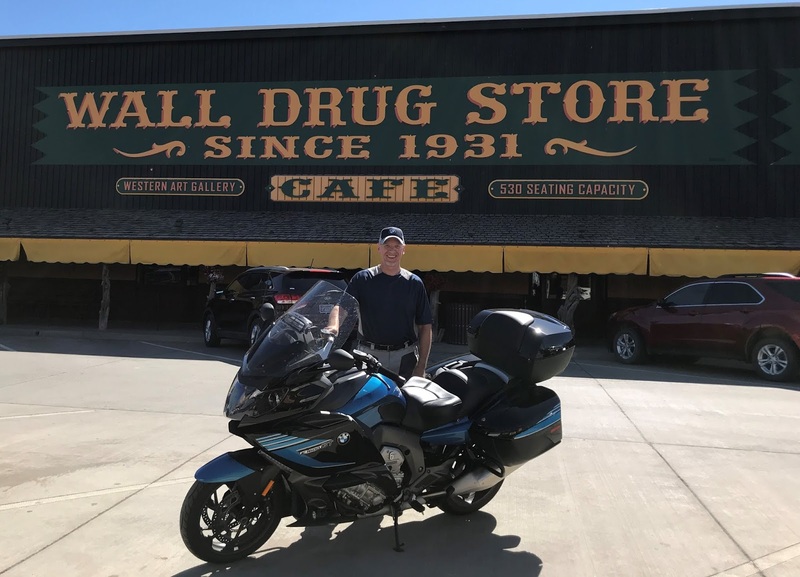 The first photo is at Wall Drug in Wall, S.D. Fred and I have made this trip out west many times, and he always insists on stopping at Wall Drug (it’s the 5-cents coffee and luscious ice cream). While I do not share his eternal enthusiasm for Wall Drug (poster child for Tourist Trap), he always seems to win this discussion! Our second day of riding took us two hours northwest of the Black Hills to Devil’s Tower in Wyoming. Along the way, we made a noon stop for chocolate malts (my insistence this time). These hand-crafted malts were made by 12-year-old Carson, whose mother ran the establishment. Best malts ever! The more I look at it, Devil’s Tower kind of resembles a super-sized 800-foot-tall malt...yummy! The next day, we rode south of the Black Hills to Hill City and Keystone, where we discovered root beer floats and hot fudge sundaes (imagine our surprise). 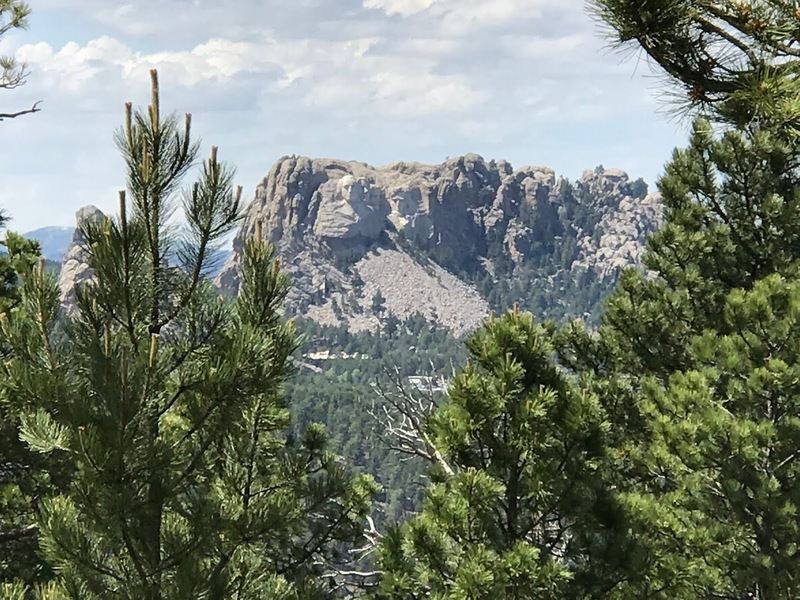 With full bellies, we made our way past Mount Rushmore and Custer State Park (awesome motorcycle roads). I’ll skip to the end of our trip and share a photo of our Sunday morning meal at Perkins in Albert Lea, MN, with my dad, Clair. I was able to celebrate Father’s Day with him a week early! In summary, I discovered anew how invigorating it is to travel. Such journeys with good friends truly refresh the soul! I am grateful for this time to be away, and I am grateful for my return to you, my dear friends at St. Mark. May these summer months fill you with joy for each new day.